Welcome to the official Savage Dragon website! This website is all about the comic book “Savage Dragon” which is written, pencilled and inked by Erik Larsen and published by Image comics. On the front page, you’ll find up to date information about everything revolving around the (so-called) Highbrow Universe: Comic solicitations and previews, links to interviews, reviews and podcasts and everything else that might be interesting for the true Fin-Addicts out there. You can also find a (eventually complete) list of all books that feature the Dragon or are in some way connected to the series. Check out our link section for a nice collection of resources. If you want to find out more about the comic book character and its creator you’ll have to look no further. 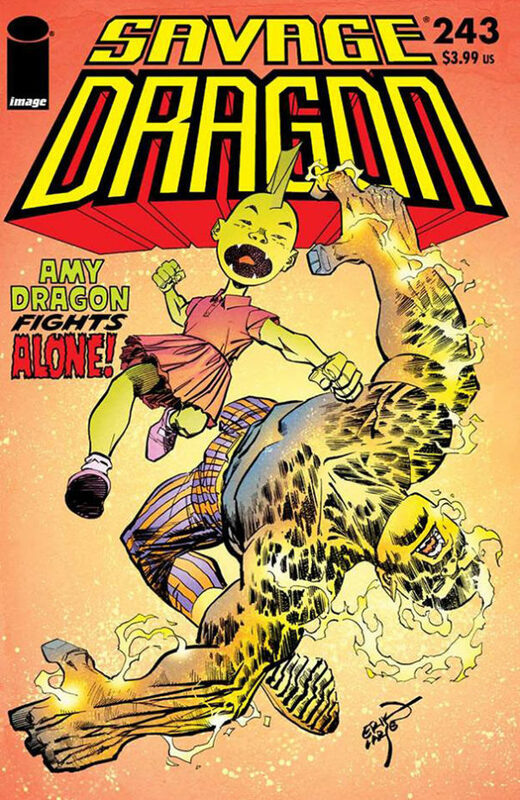 “Savage Dragon” is the name of the ongoing comic book series published at Image Comics that features the adventures of the character named “Dragon” and, in more recent times, the exploits of his son Malcolm Eugene Dragon. Erik Larsen has been in the comics business for over 30 years. He has worked for most of the major publishers and shows no signs of slowing down. He is the creator/writer/artist of Savage Dragon and was one of the seven founders of Image Comics in 1992.